Metro Boomin’s debut album Not All Heroes Wear Capes received a mixed reaction from fans but there were definitely some solid songs on the project. One of them was catchy ‘Space Cadet’ with Gunna which serves as the latest single off his album for radio. 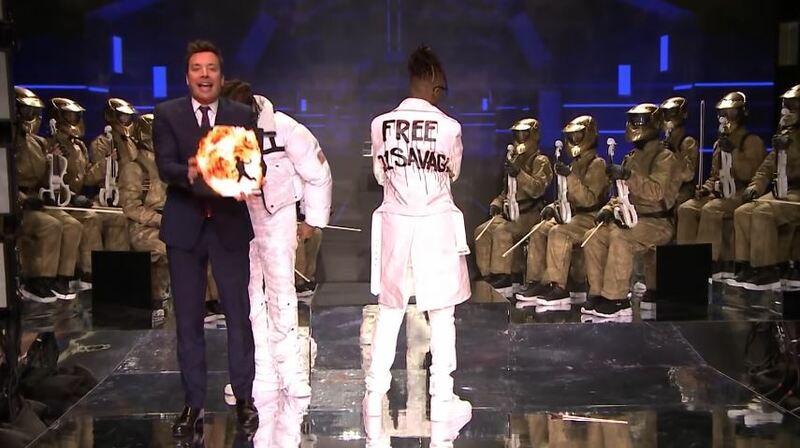 On Monday night, the Atlanta duo landed on The Tonight Show starring Jimmy Fallon to perform the track for the first time live on stage. Watch it below.